Each year, Jewish families look forward to the Passover Seder with family and friends. Traditions thrive during this sacred holiday: readings, songs, prayers and food. Each item served during the meal is a symbol commemorating the freedom of the Israelites from Egyptian slavery. Gefilte [guh-fil-tuh] fish, or stuffed fish, has become a staple served at Passover. While not a requirement of the Seder meal, like matzo and charoset (a sweet paste made of fruits and nuts), this dish of deboned fish formed into ball shapes and served chilled has become synonymous with the holiday. Most of us don’t like it, but we’d miss it. 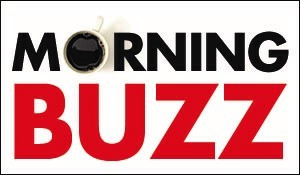 Leave it to three Buzz residents and longtime friends, Lara Ladin, Nancy Levinthal and Shellie Lewis, to be exceptions. They actually like eating gefilte fish. 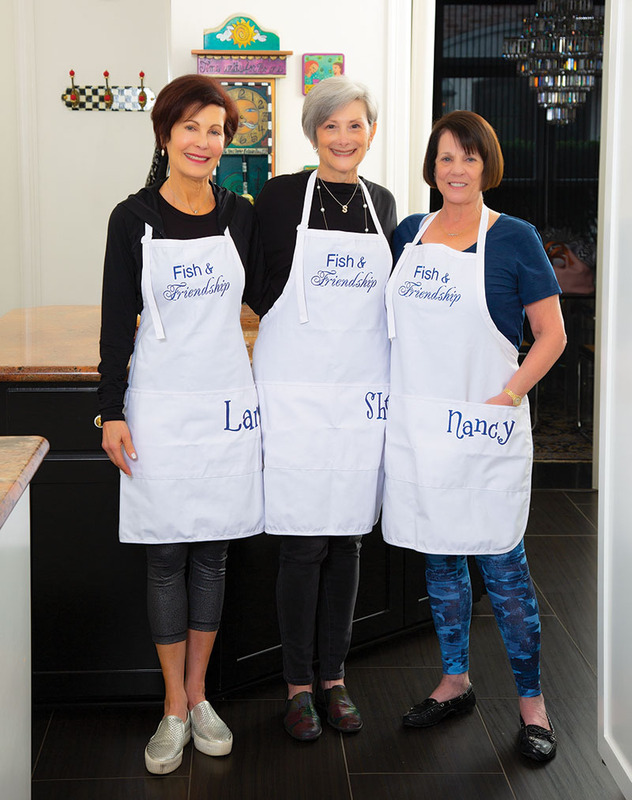 Not only that, but they like making it – and have for almost four decades, since they were young mothers joining forces in a dynamic trio of tradition. “We continued this every year because it was fun, we liked what we made, and each year became the best year ever,” said Lara. What fun they have had. They bond over the process, which takes several hours, and come together every year, for the planning, laughing, gossiping and tasting. 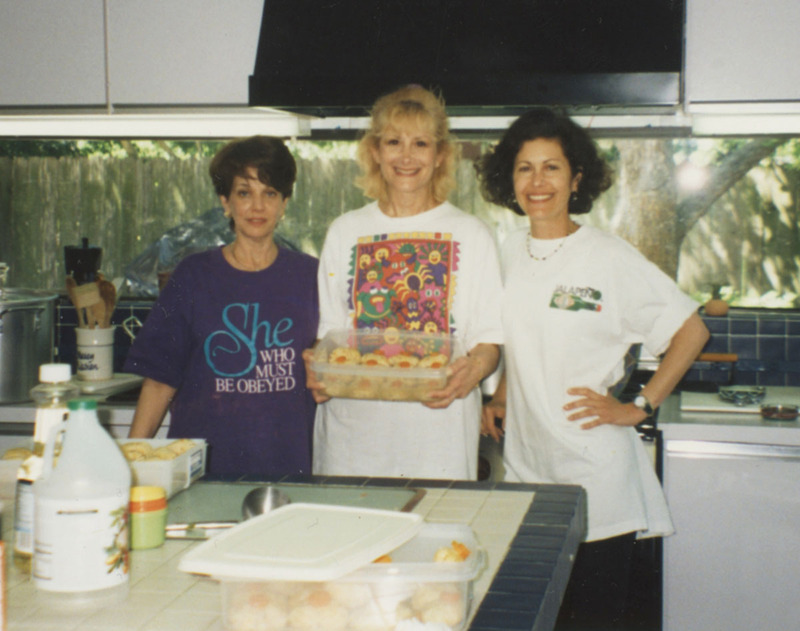 Nancy Levinthal, Shellie Lewis and Lara Ladin friends in 1995. And what a gang they are. Laughing, talking over each other, and finishing the other’s sentences, they are serious when it comes to making gefilte fish, which they have been doing together since 1981. All agree ingredients are key – ground fish, matzo meal, carrots, celery, onion, salt and pepper. While kitchens rotate, each one has the same responsibility every year. Nancy selects their fish from Jimmy at J&R Seafood on Brompton Road near West University, which usually consists of white fish, trout and redfish. Lara and Shellie take care of buying, cleaning and prepping the carrots, onions and celery to chop up and put in the broth. Not every year was smooth sailing. “The best was when we had been cooking at Nancy’s house on Underwood,” said Shellie. “We put the fish heads and bones in trash bags out on the driveway. Every cat for miles would show up.” Next time, they got smart and started driving the neighborhood for a dumpster. Lara is the official taste tester. Then each takes a bite, critiquing. One year they decided they had used too much pepper, while another year they had overused matzo meal, making the gefilte fish too firm. Nancy wonders what will happen with the annual fish duty when they decide they are done. Her adult daughter Tara says it’s time to teach the next generation. But none are certain their daughters could cook in the same kitchen and be productive. Maybe one day. Until then, the gefilte fish is all theirs. Oil sides and bottoms of two large soup pots. Place half of fish bones on bottom of each pot. Slice onions and place half on top of bones in each pot. Place carrots on top of onions, half in each pot. Place sliced celery on top of onions and carrots, half in each pot. Fill pots with water, two-thirds to the top. Cover pots and let water come to a boil while making fish patties. Mix the above ingredients with the ground fish. Form into patties, roughly 3 inches by 1½ inches, less than ½ inch thick. Remove covers on pots and lower fish patties into pots. Do not recover pots. Cook about 15 minutes. 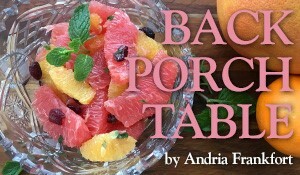 Remove from pots and cool. After cooling, strain the juice and pour the liquid over the gefilte fish patties. Place in refrigerator. The juice will thicken up considerably, which keeps the patties moist. Serve cold. Yield: 8 to 9 fish patties per pound of ground fish.